Research published earlier this year found that chronic exposure to high doses of neonicotinoids causes significant decline in honey production. Every winter, Minnesota beekeeper Steve Ellis visits California with his hives to pollinate almond trees. But starting about a decade ago, he began to see a sharp uptick in annual hive losses, both among his bees and those of most beekeepers he knew. "We went from an average annual loss of 10 to 15 percent to 40, 50, 60, and 70 percent each year," he said. To rebuild his colonies each spring before returning home, Ellis had to start buying replacement bees from breeders — now a costly but normal part of maintaining a population. Ellis said he has no doubt that bees are being gravely harmed by insecticides accumulating in our environment. "What changed in 2006 is the United States started allowing massive amounts of systemic insecticides to be used on crops," Ellis said. "From a pollinator's perspective, they're a nightmare." When applied to a plant or even to the soil at its roots, systemic insecticides are absorbed into the plant's tissues, and can become toxic to insects that eat them. The nectar of the plant's blossoms can carry the insecticide, too, and by this route transmit it to bees. In the mid-2000s, the use of these systemic insecticides — specifically a class called neonicotinoids — increased sharply, largely as a result of using seeds coated with neonics. Scientists have shown that the use of neonicotinoids can weaken and sicken honeybees and reduce their reproductive vigor. Yet use of neonicotinoids continues to grow in the United States in spite of being banned in other nations. Now, environmentalists and watchdog groups fear a mega-merger between two chemical-producing giants could worsen the plight of honeybees and other pollinators, which play a critical role in helping produce our food supply. On May 29, the Antitrust Division of the U.S. Department of Justice gave conditional approval for the German-based Bayer, which has facilities in Berkeley and is a major producer of neonicotinoids, to acquire Monsanto, maker of the controversial herbicide Roundup as well as patented plant seeds genetically modified to resist Monsanto's own pesticides. The department has required that the two companies divest from billions in assets in a move ostensibly aimed at preventing monopolization of the chemical and seed industries. Bayer has stated that this divestment will take about two months. The merger comes as the latest in a string of similar acquisitions. Last year, Dow Chemical and DuPont merged and ChemChina acquired Syngenta. "We're seeing the consolidation of seed and pesticide manufacturing into the hands of the few," said Paul Towers, a policy advocate with Pesticide Action Network of North America, based in Berkeley. He said the merging of Bayer and Monsanto will place yet more pressure on farmers to use their products, including genetically modified seeds, while making economic feasibility for farmers who choose not to do so increasingly difficult. "Ultimately, with actions like this, we will see less variety in seed genetics and less resilience to the changing climate." Towers added, "Our entire food system becomes less secure" the more it becomes controlled by fewer people and larger companies. The environment around us, too, may become increasingly saturated with toxic chemicals as pesticide manufacturers gain power and size, and as more farmers begin to rely on them. Recent polls and surveys, however, have shown that the public disapproves of industrial consolidation in the food and chemical sector. Told of Bayer's takeover of Monsanto, 83 percent of farmers surveyed by the competition policy law firm The Konkurrenz Group earlier this year said they are "very concerned" about the merger, with many of them expressing worries that the deal would increase the pressure on all farmers to invest in chemically dependent practices. Tiffany Finck-Haynes, senior food futures campaigner for Friends of the Earth, agrees. "It will make it more difficult for farmers to farm in any other way but a chemically intensive way," said Finck-Haynes, whose organization has offices in Berkeley and Washington, D.C. Towers said Bayer's takeover of Monsanto will lead to more genetic engineering of crops to make them pesticide-resistant. In 2017, 94 percent of the country's soybeans were grown from pesticide-resistant seeds, compared to just 17 percent 20 years prior, according to the USDA. A representative from Monsanto directed inquiries to Bayer, which did not respond to a request for comment in time for publication. But in media materials, Bayer officials insist there is nothing to worry about and actually much to applaud. Werner Baumann, the company's chairman of the board of management, praised Bayer's acquisition of Monsanto as a victory for the public, for farmers, and for the companies' investors. In a video statement posted to Bayer's website, Baumann said the acquisition "is good news for consumers and broader society around the world. We will contribute to the production of more healthy and more affordable food in a sustainable manner." "At Bayer, sustainability and responsibility are deeply anchored in our culture," he added. "We stand for the highest ethical, ecological, and social standards." "Bayer and Monsanto have promised this, but history always disproves them," she said, adding that the merger will lead to price discrimination and marketplace barriers against product innovation and fair competition. She noted that the newly enlarged Bayer will be in debt by about $60 billion, which it may try to repay by "cutting jobs, cutting expenses, and doubling down on manufacturing its most profitable line of business, which is toxic pesticides." 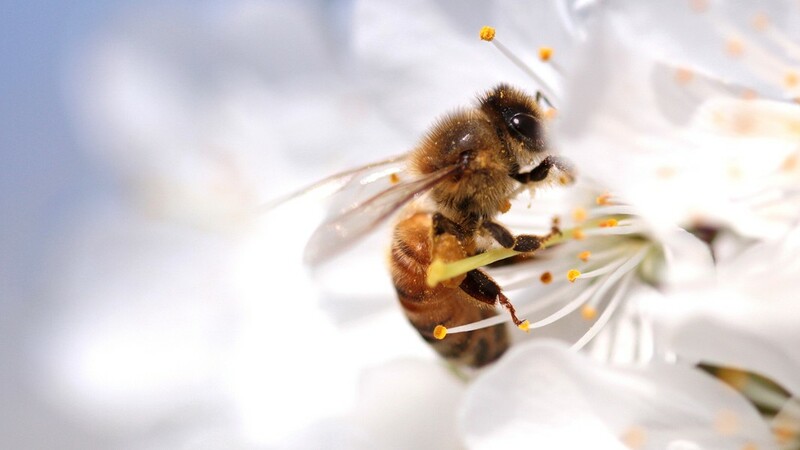 Research published earlier this year in the journal PLOS ONE found that chronic exposure to high doses of neonicotinoids, including clothianidin, which is used in the Bayer Advanced product line of garden applications, causes significant decline in honey production. Another study in the same journal last year described "a variety of adverse sub-lethal effects in bees" exposed to neonicotinoids, including likely reduced frequency of mating. Numerous other studies have found similar negative effects, and it is widely believed that neonicotinoids are driving bee declines globally. In May, a European Union court upheld a partial ban on three neonicotinoids in order to protect bees. Monsanto's signature product, the weed-killer Roundup, meanwhile, contains glyphosate, an organophosphate whose health effects on humans have been hotly debated. In 2015, the World Health Organization's International Agency for Research on Cancer determined that glyphosate is "probably carcinogenic to humans," though a news investigation later revealed that the findings may have resulted from intentional omission of evidence to the contrary. Research from UC Davis has connected the use of organophosphates to autism, and a study published last year in the journal Ecography linked glyphosate use to declining monarch butterfly populations. Still, county agencies statewide routinely spray these chemicals in rural and suburban areas to reduce mosquito populations. Bayer and Monsanto spent more than $14 million in lobbying money in 2017 alone. Ellis, the Minnesota beekeeper, believes such industry payouts have strong influence over agency actions and, ultimately, the health of ecosystems, bees, and humans. Three years ago, after publishing research showing the harmful effects of neonicotinoids — including clothianidin — on wild pollinators, USDA researcher Jonathan Lundgren filed a whistleblower complaint alleging his supervisors retaliated against him by suspending him. (He has since left the agency.) The circumstances around the demotion of prominent USDA honeybee researcher Jeffrey Pettis also caused concern among beekeeper advocacy groups. Ellis and many others allege the USDA punished its employees for publicizing the impacts of commercial pesticides. "It's unacceptable for our lead researchers to be intimidated in this way," he said. He noted that the European Union is steps ahead of the United States in terms of recognizing the potential dangers of neonicotinoids and reacting accordingly with outright bans. "We're unfortunately not there yet in this country, but at least we're talking about it," Ellis said.